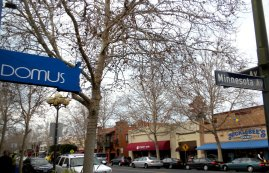 Willow Glen in San Jose is former rural community born and organized around the many orchards which used to provide subsistence for its members. Today it is mostly known as a quiet and family-friendly neighborhood in South West San Jose, Ca. Willow Glen was officially founded in 1927 and was named after the willow trees that grow alongside the Guadalupe river. Home buyers looking for single family homes in Willow Glen will appreciate its cosy and pedestrian-friendly downtown area where one can indulge in shopping in small boutiques and treating oneself in the many restaurants and cafes with outdoor terraces. Downtown Willow Glen was built around historical landmark homes in San Jose such as the Garden Theater, the Adobe Hall and the Buffington House. Willow Glen streets and avenues are safe and peaceful. Willow Glen houses are colorful and neat under the tree lines found in many streets in the area. Willow Glen homes are rich in architectural diversity with styles ranging from Spanish-ranch to Victorian and even bungalow-style homes. Willow Glen enjoys one of the best elementary and secondary school system in San Jose. The downtown area offers a large range of activities and entertainment, day and night, for kids and adults alike from live music to cooking classes, beading lessons, book signing, etc. Houses for sale in Willow Glen (95125) always attract lots of traffic from home buyers and San Jose Realtors alike. Make sure to hire a local San Jose Realtor who is on top of the latest real estate market trends in the area. Among all San Jose neighborhoods, Willow Glen definitively succeeds in offering San Jose residents a traditional "Art De Vivre" in the heart of the Silicon Valley. The Willow Glen area is principally associated with the San Jose Zip Code 95125. 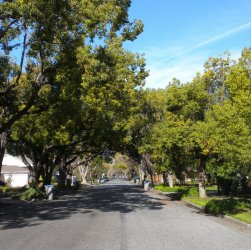 Willow Glen offers something for everyone and features the quaint, quiet neighborhood atmosphere that many seek out when searching for real estate in San Jose, CA. Peruse Homes for Sale in Willow Glen (95125) and learn about tips, landmarks, schools and news about Willow Glen. You can download here and read all about the latest trends about the real estate market in Willow Glen in San Jose CA.